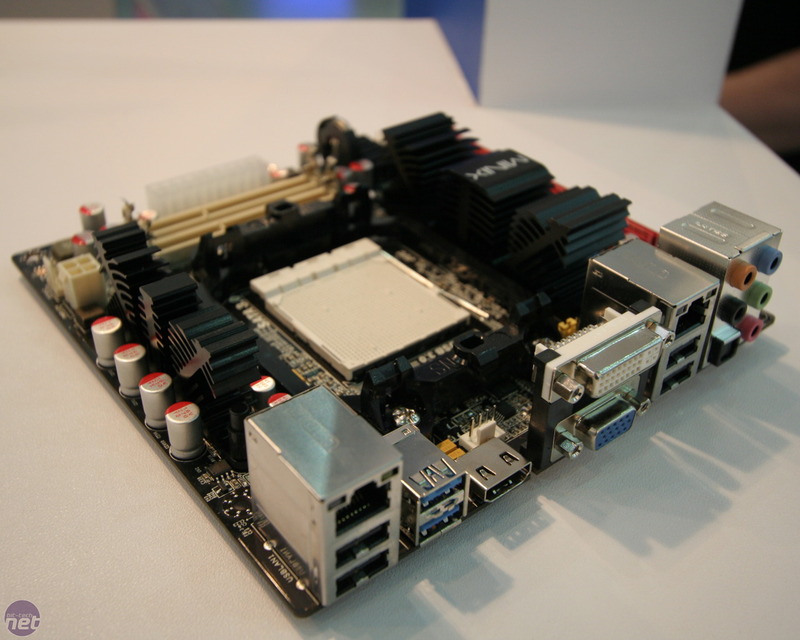 We love a bit of mini-ITX micro-madness here at bit-tech, and we recently spotted a couple of gems at Computex 2010. We've followed up to get some more info, and here's what we found. Firstly, from Asus, the socket AM3 M4A88T-I uses the AMD 880G chipset. 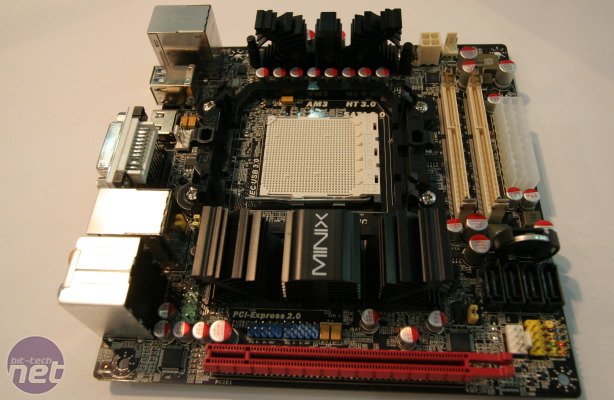 To save space and power, it uses DDR3 SoDIMM memory but it does have a PCI-Express 16x graphics slot, three SATA ports, and a passively cooled Northbridge and Southbridge. 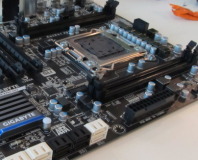 The SB710 Southbridge doesn't include the RAID 5 or SATA 6Gbps support the more recent SB850 offers, but it can still unlock CPU cores easily. The board is very clearly designed for the HTPC enthusiast, with DTS audio, plus HDMI and DVI outputs, coaxial and optical S/PDIF, 802.11n Wireless, Bluebooth, USB 3, eSATA, Gigabit Ethernet but only six channel audio output via 3.5mm jacks (there's not enough space for more). Asus is claiming 6-core unlocking support on the label, although an exact TDP wasn't stated and given what we know about other mini-ITX boards, we feel safe in saying that's for 95W TDP chips, not the full-fat Black Edition, because there's just not enough space for the requisite power hardware. Asus aren't the only company looking at this market. 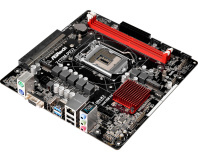 J&W also has an AM3 board, turning it up a notch by opting for the 890GX chipset and SB850 Southbridge on its MINIX 890GX-USB3, making it the smallest board with full SATA 6Gbps support. It also packs DDR3 SoDIMM slots and a 16x lane PCI-Express slot, along with a larger chipset heatsink a tasty predominantly black colour scheme. The downside compared to the Asus is that there's not the breadth of outputs offered on the rear I/O, but there is dual Gigabit Ethernet should you want to use it as a mini-server too. While awkward to find in retail, J&W throws in a mini-PCI-Express card on the back of the board for additional expansion too. 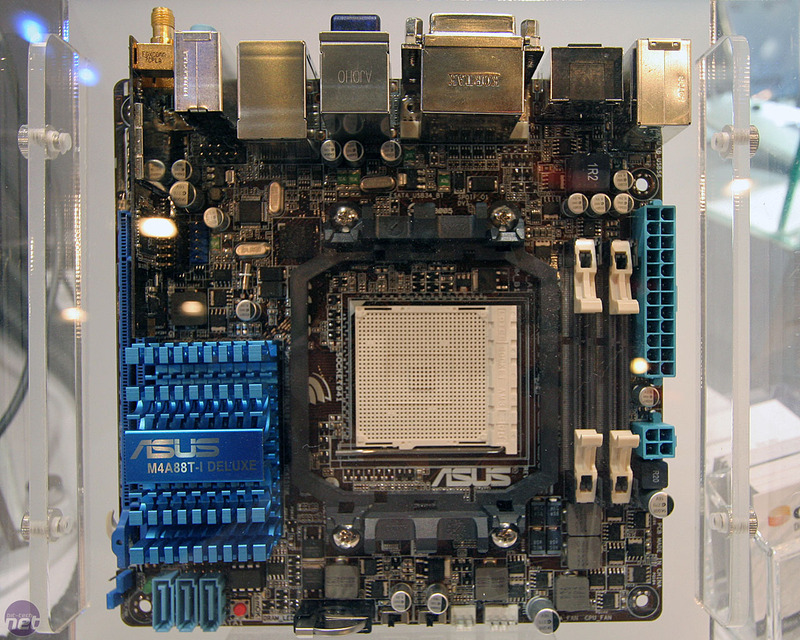 On its Computex booth, J&W demonstrated the system running a 95W TDP six-core CPU, although like the Asus above we were advised against trying a 1090T Black Edition. 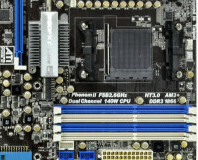 J&W stated that it had developed its own core unlocking technique to keep competitive with the likes of Asus, Gigabyte and MSI. 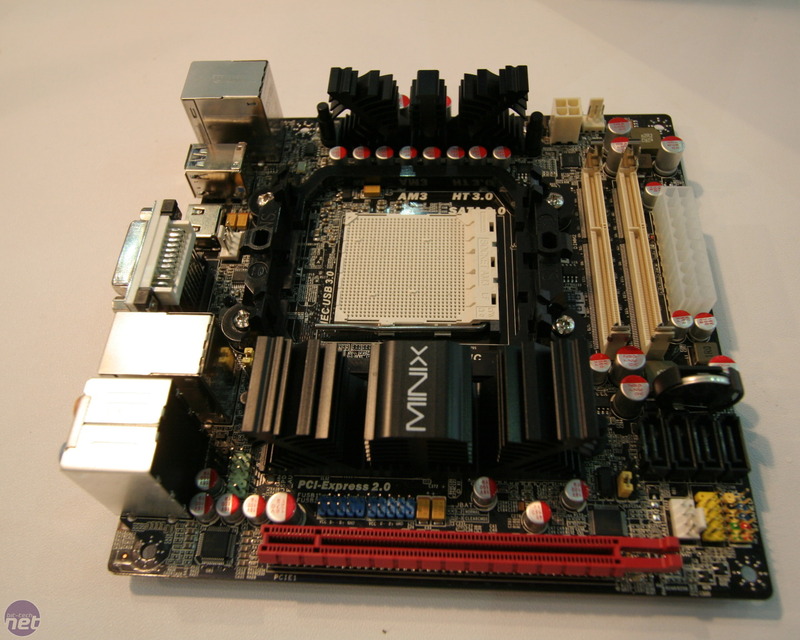 Fancy building a six-core mini-ITX multi-threaded monster? Let us know your thoughts, in the forums.